El Tarter is closely linked to Soldeu, which is just 1.5 km up the road. Soldeu and El Tarter sit in the heart of the 210km of pistes that make up the Grandvalira ski area in Andorra. Ski holidays in El Tarter are perfect for first time skiers and snowboarders due to the fantastic ski schools and excellent value for money. Grandvalira is made up of 6 lift-linked sectors including, Pas de la Casa, Grau Roig, Soldeu, El Tarter, Canillo and Encamp. 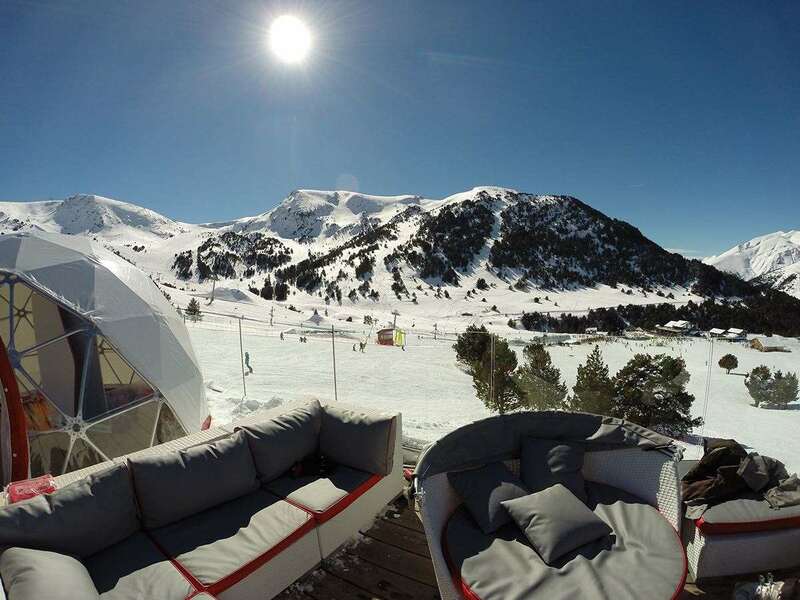 El Tarter is smaller than its neighbour, Soldeu, with just a handful of restaurants and bars but offers fantastic value accommodation with quick access to the extensive Grandvalira ski area. El Tarter is an attractive resort with a peaceful and friendly atmosphere that compels skiers and snowboarders return year after year. The ski season in El Tarter runs from December through to April with excellent ski conditions in February and March. There are 1013 snow cannons across Grandvalira that guarantees snow at more than 65% of the total ski area. The El Tarter ski area centres around a large beginner plateau area perfect for first time skiers and snowboarders. There is an extensive variety of blue and red pistes that link around El Tarter which experienced skiers can enjoy. Just one chairlift away is Soldeu where you can head towards Grau Roig and Pas de la Casa. Families will love the wide range of facilities for children here with special kids circuits and fun pistes designed just for them. El Tarter has the best snowparks in Andorra. At 1.3km in length, the park offers long routes and features for all abilities. Throughout the season there are freestyle camps and top level international competitions that take place at Snowpark El Tarter. This superb destination is perfect for quality breaks on a budget. We have a fantastic range of El Tarter hotels that will meet any of your ski holiday requirements. There are a few restaurants and bars in El Tarter; Dylan’s is a modern restaurant with a cocktail bar. L’Arbarset serves traditional alpine dishes in its restaurant and hosts live music at après on its large sun terrace. For a livelier après scene, head up the road to Soldeu. Andorra is well known for its duty free shopping so you will find brilliant value within the supermarkets and ski shops in El Tarter and Soldeu. I have skied all across the alps over the last 30 years but never Andorra - its wonderful, everyone is so friendly and helpful. Huge range of blues and reds and a few blacks. Instructor for my (anxious beginner) son was brilliant, nurturing him to a level where we skied as a family down the whole mountain by the end of the week. We were lucky, we had fresh powder snow every other night and sunshine all day- in April! Definately going back.